Glucagon-like peptide-1 receptor (GLP-1R) is a molecular target for imaging of pancreatic beta cells. We compared the ability of [Nle14,Lys40(Ahx-NODAGA-64Cu)NH2]-exendin-4 ([64Cu]NODAGA-exendin-4) and [Nle14,Lys40(Ahx-NODAGA-68Ga)NH2]-exendin-4 ([68Ga]NODAGA-exendin-4) to detect native pancreatic islets in rodents. The stability, lipophilicity and affinity of the radiotracers to the GLP-1R were determined in vitro. The biodistribution of the tracers was assessed using autoradiography, ex vivo biodistribution and PET imaging. Estimates for human radiation dosimetry were calculated. We found GLP-1R-specific labelling of pancreatic islets. However, the pancreas could not be visualised in PET images. The highest uptake of the tracers was observed in the kidneys. Effective dose estimates for [64Cu]NODAGA-exendin-4 and [68Ga]NODAGA-exendin-4 were 0.144 and 0.012 mSv/MBq, respectively. [64Cu]NODAGA-exendin-4 might be more effective for labelling islets than [68Ga]NODAGA-exendin-4. This is probably due to the lower specific radioactivity of [68Ga]NODAGA-exendin-4 compared to [64Cu]NODAGA-exendin-4. The radiation dose in the kidneys may limit the use of [64Cu]NODAGA-exendin-4 as a clinical tracer. Mikkola Kirsi and Yim Cheng-Bin contributed equally to this work. The online version of this article (doi: 10.1007/s11307-013-0691-2) contains supplementary material, which is available to authorized users. An erratum to this article can be found at http://dx.doi.org/10.1007/s11307-013-0700-5. 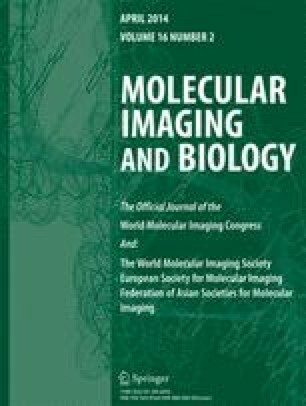 The authors thank Dr. Jörn Schlesinger for technical expertise and scientific discussions and Vesa Oikonen MSc for helping with PET/CT data analysis. Aake Honkaniemi, Elisa Riuttala, Merja Tuomas and Marko Vehmanen are acknowledged for their technical assistance. The study was conducted within the Finnish Centre of Excellence in Molecular Imaging in Cardiovascular and Metabolic Research, financially supported by the Academy of Finland, the University of Turku, Turku University Hospital and Åbo Akademi University. The research leading to these results has received funding from the European Community’s Seventh Framework Programme (FP7/2007-2013) under grant agreement 222980 and from the Diabetes Research Foundation, Finland.